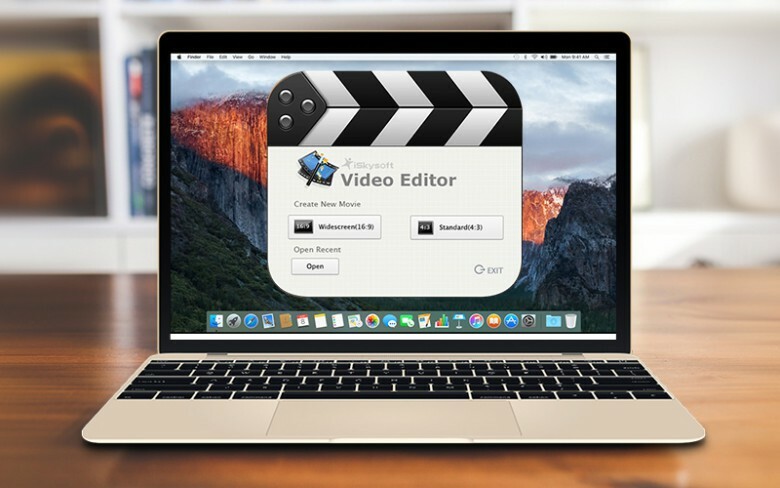 iSkysoft Video Editor for Mac aims to make it as easy, intuitive and fun as possible to create your own videos. Even if you’ve got zero experience, you’ll be able to edit, polish and share top-notch videos right out of the box. It all starts with choosing the images, clips or audio you want to turn into a video. Then, simply drag the files into your project’s timeline (as many as 15 tracks at once), polish with effects or filters, and share. The interface and workflow are designed to be easier than Final Cut and even iMovie. All the basic functions like trimming, cropping, color correction, text effects and lots more are within easy reach. A full menu of filters, transitions and sound effects are kept a click away. You can add animated titles, choose from 59 transition effects, slap on stickers, layer on voiceovers and even pixelate sections of the video with ease. iSkysoft Video Editor even detects scene boundaries and offers options for green-screen effects. Once you’ve finished creating your cinematic masterpiece, it’s as easy as clicking “save as” to prepare it for sharing in any format and on any digital platform, whether YouTube, Facebook, mobile devices or anywhere else someone’s likely to see it. Plus, if you’d rather gather the crew around the TV and watch together, there’s also a super-fast DVD burner function built right in to iSkysoft Video Editor. Video is everywhere, but too many people perceive a steep learning curve that keeps them from making their own. That’s especially unfortunate given the crazy amount of video and photos people capture on their mobile devices, only to have it shoved into a folder and forgotten. Many of us have a treasure trove of material in our computers just waiting to be brought to life, and learning to make your own videos will give you a whole new perspective on how the stuff you’re capturing might be used. New skills are best learned by easing into them, and that’s just what iSkysoft specializes in. Give their Video Editor a try — you won’t believe how quickly your inner filmmaker comes out.